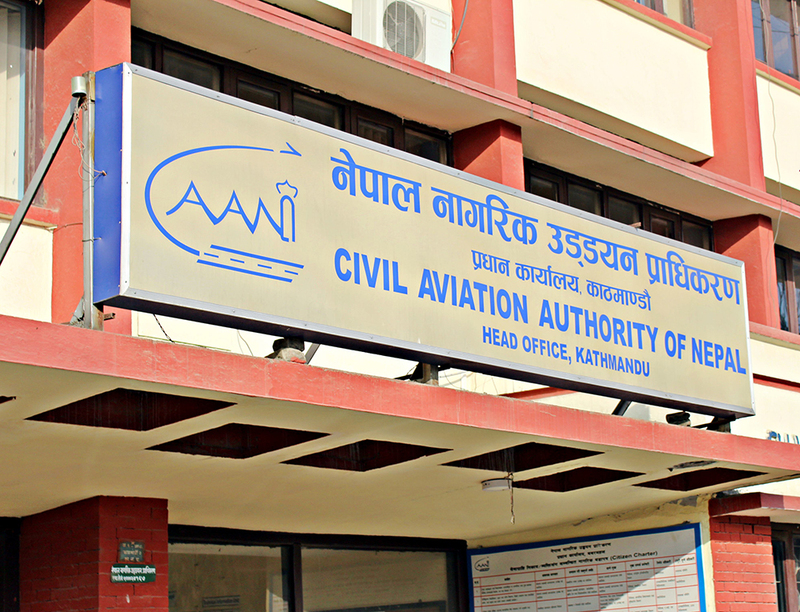 KATHMANDU, Oct 31: The board of directors of the Civil Aviation Authority of Nepal (Caan), the aviation sector regulatory body, is expected to endorse a budget of Rs43.58 billion for fiscal year 2017-18, two months behind schedule due to a bitter boardroom battle. Tourism Minister Jitendra Narayan Dev, who is the chair of the Caan board, had made multiple attempts to replace incumbent Caan Director General Sanjiv Gautam with a new chief to pass the annual budget. However, the plan fell apart. This delayed budget endorsement process, adversely affecting a number of programmes and projects. Of the total proposed budget, the government’s share investment in the Caan stands at Rs23 billion. Caan’s annual budget hovered around Rs39 billion in the last fiscal year. Caan Spokesperson Birendra Prasad Shrestha said a number of new projects will be executed this year, while continuity will be given to old projects. A $28-million rehabilitation project to improve the 3,050-metre runway at Tribhuvan International Airport (TIA), which has been on hold since March, is expected to start moving again. Last March, the project had shortlisted four firms after evaluating their technical proposals. However, these bidders were not invited to submit financial proposals, as the Caan board could not hold its meetings. Likewise, fund has been allocated to expand the length of taxiway from the southern tip of Runway 02 approach point. As the 02 approach point is not connected with the taxiway, aircraft require extra time to park at the tarmac after landing, Shrestha said. According to Shrestha, a new helipad, with the capacity to accommodate 30 choppers, would also be built on the eastern side of the runway. Similarly, helipad would be expanded in Nepalgunj, Simikot and Lukla this year, he said. Caan has allocated budget to undertake runway overlay works at airports in Pokhara and Nepalgunj. Bharatpur and Janakpur airports will also be equipped with a precision approach path indicator (PAPI) and runway landing lights that guide pilots to approach airfields. Among others, runway lights in Nepalgunj airport would be replaced and VHF omnidirectional range (VOR) and distance measuring equipment (DME) would be installed in Dhangadhi and Chandragadi airports this year to modernise the airport’s navigational equipment, he said. VOR/DME refers to combined radio navigation station for aircraft, which consists of two radio beacons placed together. Runway of the Tumlingtar Airport will also be blacktopped this year. “Besides, budget has been allocated for continuation of old projects, like TIA improvement and upgradation of Gautam Buddha airport in Bhairahawa to an international airport,” said Shrestha. The TIA project includes runway extension and international terminal building expansion, among others. The $92-million project has been on hold since last December after Spanish contractor Constructora Sanjose was sent off for non-performance. According to Shrestha, the process of awarding contract for navigational aids at the Gautam Buddha International Airport will also begin in this fiscal year. “Necessary documents are ready. As soon as the budget is approved, procurement process will begin,” Shrestha said.